Well what do we have here? 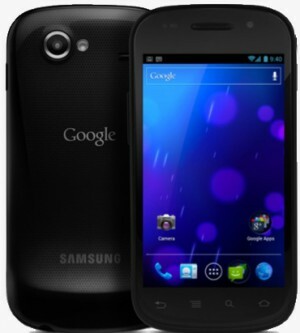 Newly available factory images for Android 4.0.4 (IMM76I) can now be obtained via the web for all yakju variants of the GSM version Galaxy Nexus. In addition, there’s a new build on the horizon, “takju”. These images are highly coveted as they can assist you in a time of need, such as when you brick the heck out of your phone rendering it useless. The images can also help you move from a non-yakju build to a yakju one seamlessly. You’ll need fastboot of course and some experience flashing images can’t hurt either. Also note that as Google has begun selling their Nexus device on the Play Store, recall that this is not the same model, it’s the takju build. Takju is Android 4.0.4 (IMM76I) with some optimization for supporting Google Wallet. GSM Galaxy Nexus owners have had a fresh OTA update roll out this weekend. Before you get too excited it’s only a minor bug fix that doesn’t actually move the release number beyond 4.0.4, it does however change the build number to IMM76I. The update reportedly fixes the pesky intermittent signal issue that arrived with build IMM76D, interestingly enough it manages this without fiddling with the baseband. Anyone suffering from lock screen lag when using automatic brightness will also be happy as this bug has also been ironed out. I received the update to my Galaxy Nexus yesterday morning and haven’t noticed any real difference. I hadn’t suffered from either of the known bugs from the previous build though. Give us a shout in the comments and let us know if you notice any differences once your update arrives. 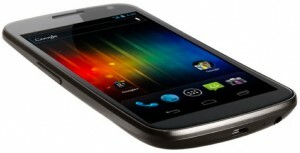 As some Sprint customers begin to receive their pre-ordered Galaxy Nexus phones, we have learned that the device is running Android 4.0.4, which is a more updated version than Verizon’s Galaxy Nexus, which is still only on 4.0.2. Verizon customers are not too happy right now since they bought a Google Experience phone to get timely updates, but haven’t gotten an update since 4.0.2 dropped on launch day 5 months ago. Apparently, some Verizon customers are still complaining about some serious bugs in 4.0.2, specifically mic dropping during calls, bad reception, random reboots, performance issues, and poor battery life. A leaked 4.0.4 build seems to have fixed many of those issues but has not yet been officially released on Big Red. The only solution for many right now is to root their device and install the leak, a process only us geeks are really comfortable doing. Most customers are not like us and have no other choice but to wait for an official update. Some rumors point to Verizon deciding to wait until 4.0.5 to update their Galaxy Nexus devices, but they are just rumors and we don’t know for sure one way or the other. So what’s the hold up? Is Verizon the blocker here, or is it Google? The way carriers control their roll-outs, it would seem it’s Verizon stalling the updates… but doesn’t that mean the Galaxy Nexus is not a true Google Experience device on Verizon? Remember, Google already stated that the CDMA Galaxy Nexus is not an AOSP supported device due to intellectual property issues with the CDMA technology, but that it would still be updated and supported by Google, whcih further points the finger in Verizon’s direction. So what’s the deal, Verizon? Back on April 2, we reported about the leak of the official Android 4.0.4 Ice Cream Sandwich build for the Nexus S 4G on Sprint along with step-by-step instructions to manually install it (available now as an OTA update). Sitting at work while reading the article, I immediately cancelled my plans to eat lunch that day and reactivated my Nexus S that had been patiently lying on my kitchen table waiting for this day. I have always waited for the OTA updates in the past, never wanting to take a chance messing up my phone or computer, but this update was too important for old habits. The instructions were as clear as they come. I had to register for a free Jumbo Files account before the site would let me download the software, but after a 15 minute download, the rest was a piece of cake. The whole process took about 35 minutes, total, including the registration. Find out if it was worth the wait after the break. I cannot remember a time when I was more excited about a software update than this one. For many Android users as of late, firmware updates have been the source of bitter sweet sentiments, even causing a lot of people to refrain from updating at all in fear of the unknown. Again, I was always the one who waited and let the early birds take the chance. No more playing it safe. When the new ICS boot-up animation started up, I was practically jumping up and down in place telling all my workmates to gather ‘round. You’ll have to forgive my excitement in that moment. I have never rooted my phone nor done anything like this before. The only phone-to-computer action you saw in my house was for file transfers only. My successful attempt at modification had given me a new found sense of empowerment and pride. As I went through the initial setup steps, because my phone had been fully wiped in the process, I immediately noticed the smooth response when swiping between screens and opening apps. I realize this is not a big deal for a lot of users, but for me, this is something that I do everyday to get to my important apps and widgets, so homescreen lag is a major turn off. Luckily for me, ICS on the Nexus S 4G didn’t suffer from this issue. It has now been 10 days since I have been using ICS on my Nexus S 4G and here is the good, bad and ugly of my experience. ICS is super smooth! This was a major concern of mine as the Nexus S 4G only has a single-core processor and 512 MB of RAM, yet Google has done a fantastic job in modifying their latest software to work smoothly on last year’s hardware. Google decided to keep the symbols below the screen active, as opposed to being incorporated onto the screen like the Galaxy Nexus. I feel this was a good move because the screen size on the Nexus S is only 4 inches and it would indeed be too cramped to have 100% stock ICS crammed into the display. The software enhancements that come with ICS are the real treat in my opinion. For instance, the new Gmail app is so much more clean, elegant and a joy to work with. ICS finally added the ability to natively assign different text message notification tones to specific contacts. Lacking this feature out of the box and being forced to find an app to perform this function really annoyed me back in the day. I am proud to state that we now have a built-in 4G toggle widget! You would think that you could have found a widget in the Play Store for this but there weren’t any that worked. What was then a 4-step process has now been reduced to a simple tap on the homescreen. Lastly, ICS is just so gosh darn beautiful to look at. I was a major nerd and visited my neighborhood Verizon store just to compare my Nexus S to their Galaxy Nexus and I couldn’t see a difference in color or screen response between the two. ICS may not have altered the overall smoothness and response on the Nexus S 4G but I have seen some noticeable effect on battery life. I can safely say that my battery now lasts roughly 25% less that it used to. Luckily I’m never far from a charger, but this will be a drastic adjustment for many users who have been used to getting through most of the day if not the entire day with Gingerbread Android 2.3. Perhaps this can be addressed in a future software update, but it’s important to be prepared for it now. Another issue is that the phone will get hot when doing simple tasks like writing emails, reading news and checking my calendar. It’s mostly when the phone has been doing things for about 10-15 minutes or longer, but my phone never used to get hot at all in the past. It is not uncommon for phones to get heated when they are active, but again, this is a noticeable change since the update. Lastly and sadly, the phone volume has become even softer than before. The Nexus S, like the Galaxy Nexus, has never been a phone that you could count on being able to hear while at the bar or club. However, I am unhappy to report that you will almost certainly need to find some naturally loud ringtones from the Play Store or online to help compensate for this change. It can be remedied for sure but admittedly, it’s a bummer to see the sound quality suffer more, rather than receive a much needed improvement. So there you have it ladies and gentlemen. After my experience, I can say that overall, I love what ICS does for Android, and I am very happy that the big “G” didn’t forget about last year’s Google experience device supporters. In my opinion, the ICS improvements for the Nexus S 4G greatly outweigh its shortcomings. So was it worth it for you? Let your thoughts be heard in the comments below. It’s that bitter-sweet moment that follows a lot of OS updates. You boot up for the first time to find all the new features and bug fixes you were hoping to see, all is well in the world. Inevitably, for every 5 or 6 bugs fixed there’s a new one that reveals itself that wasn’t there before, now where’s my pitchfork? The GSM Galaxy Nexus saw a world wide OTA push of the latest Android 4.0.4 which brought with it some minor improvements such as faster multitasking, a new power-button menu, quicker changing of screen orientation etc however what wasn’t advertised as part of the update was sketchy signal problems. The issue specifically causes a complete loss of signal in otherwise strong signal areas which prevents the ability to make or receive calls and texts. Widespread reports of the issue first surfaced over at the XDA developers forum and have since progressed to a confirmed listed on Google’s support page. Interestingly I have not personally ran into the problem on my GSM Galaxy Nexus since I updated to 4.0.4 however I am UK based so I’m not sure if that has any significance to the occurrence of the issue. I expect Google will be working round the clock to bring a timely 4.0.5 update that will fix the issue, here’s hoping it doesn’t bring another unexpected gremlin along with it! You can click the link below to head over to the Google website and report the issue if you’ve been effected by signal loss following the 4.0.4 update. Sounds good! If you now have the update, drop us some notes in the comments how well it is or isn’t running for you plus, you’ll find some more discussion in the Android Central forums about it.